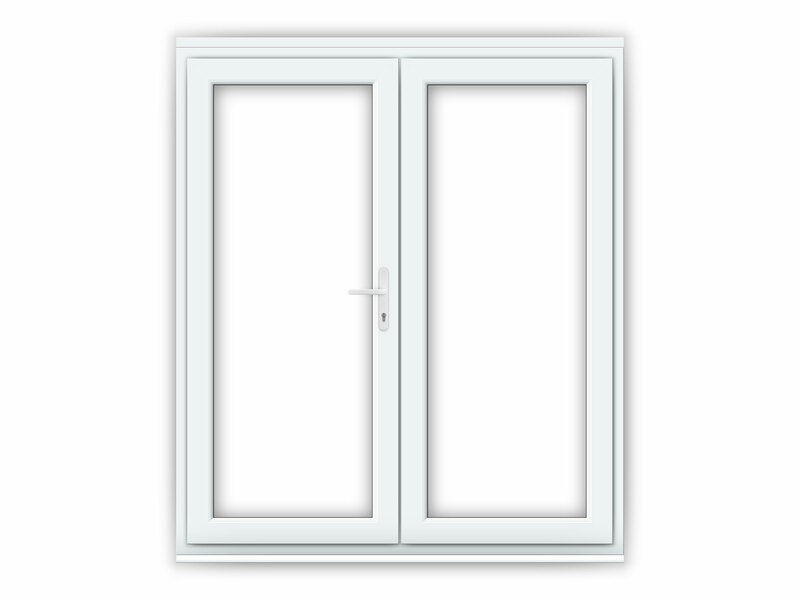 Our 6ft uPVC French Doors are 1790mm (W) x 2090mm (H) including a 30mm cill and 40mm overhead ventilator if fitted. Our 6ft uPVC French Doors are perfect for installation in a 1.8m (W) by 2.1m (H) aperture. Before purchasing the French Doors, I read through many of the reviews that Flying Doors had received, they were spot on ! as the whole process, from ordering to delivery went like clockwork. Its been about 2wks since they were installed, which also went without a hitch, this is why I have to award a 5star rating for excellence. Just wanted to say a big thank you for your help and support in supplying beautiful French Doors. My builders initially had a problem with aligning the doors but the quick response, knowledge and support from your customer service resolved the problem immediately. We also needed a small replacement part that may have been broken in transit but again this was dispatched the same day. I am thrilled with my doors and the level of after sales care. I would recommend to anyone. Bought a set of patio doors a few weeks since, there was a slight problem with one of the doors, you only find out how good a company is when you have to contact them with a problem, the service was superb and all sorted out very quickly and professionally. I have already recommended a friend who has purchased 5 windows and a door. Thank you for the great service. Doors are great :) Very happy with how they look. For the price these doors are exceptionally good quality. They were received within the stated delivery time and fitted the same day. Good clear instructions and they look great !! Robust, good quality, well made product, with closable ventilation gaps on the top. for the money , a quality french door set that is easy to fit , two people required for some lifting operations , so make sure you have willing friend available . Good quality doors, well made, easy to fit and very secure. Excellent replacement or addition. Very happy with my new doors! Thanks Flying Doors. these are good quality doors that meet all of todays building reg's. easy to fit and look smashing., i think they are the cheapest anywhere. This door is great, excellent value for money and very well made. excellent product. excellent price. a simple to fit, straight forward good all rounder french door set. installed without top vent or cill in a conservatory to replace some old ones, very high quality and even better price! Cheap premium product, this is my second set. Can't fault my experience with flying doors. DIY install, few hickups and a missing top vent but tech department helped quickly resolve any issues. Bought 3 sets for various customers. Delivery, product , installation nd service top notch. Bought 2 sets of these for an exntension. The quality is really quite remarkable considering they're the cheapest I could find online. Delivered on time, installed easily. Excellent patio door for the price., very well made, very sturdy. Easy to install no problems with it at all and it just looks grand Very pleased all round would highly recommend this product. very good looking doors,relatively easy to fit by any diyer. it is essential to get the frame level,plumb and square,the adjustable hinges are a bit fiddley three on each hinge. the only problem I had was with the pre-fitted locking keep in the top of the frame it been pre-fitted the wrong way round. Quoted Â£2000 for 2 French doors, saw these and thought I'd give it a go. So easy to fit, so easy to adjust, such good value for money. Next project fitting bifold doors. Ordered a pair of these French doors online. Received an email telling me that the order had been processed and that I would be contacted by the delivery firm. Got that call 2 days later and arranged a day and time. Got a call from the driver the night before to tell me when he'd be there. Well packed and protected. Installed in a day including removal of the existing old doors - take time to make sure that the frame is installed correctly, screw in the head and cill to avoid bowing - once that's done the doors take 2 men about 5 mins to put on and 15 mins to adjust. I'm delighted with the finished product. best french doors i've seen, was sceptical because of price. i would recommend them to anyone.